Transdiesel S.L. 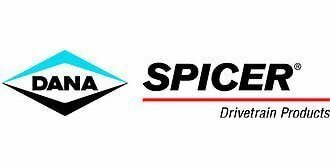 Since 1993, it has been the only “Authorized Service Center” in Spain and Portugal for the brand of Hurth axles, belonging to the Spicer Off-Highway division of the Dana group. The development in innovation of the Hurth axes gives them characteristics that allow them to accommodate the most varied applications with designs made with great meticulousness. Simple reduction axes, planetary, special or transaxles. This, together with its great robustness, is the characteristic that has achieved that the Hurth axes are widely introduced in the majority of applications of agricultural machinery, industrial, public works and mining. Transdiesel S.L., thanks to an effective technical assistance, ensures that the quality of this product is clear, with a network of services in Spain and Portugal. Applications: mining equipment, airport services equipment, roller compactors, forklifts, mini-dumpers, agricultural tractors, sweepers, wheel loaders, telescopic handlers, forestry machines, etc. Manufacturers of first equipment that have chosen the Hurth axles: Lorenzana Machinery, Matilsa, Commanasa, Agria, Europactor, Gorris TEM, Lebrero, Vermeer, Terex, JLG, Ingersoll Rand, Gehl, FMC, CNH, Bomag, Atlas Copco, Linde, JCB , Manitou, Dynapac, Skyjack, Komatsu, Fantuzzi ,. Dieci, Liebherr, Normet. ​More information at Dana and Dana Products.